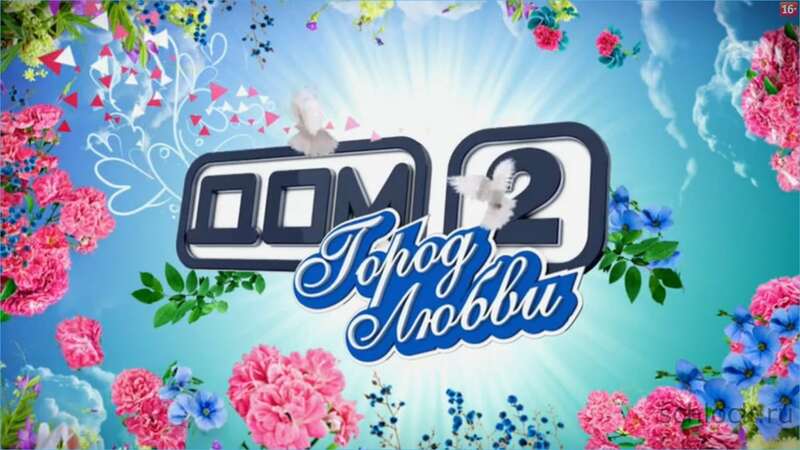 Dom-2 (Дом-2) is the longest running reality TV show in the world. When it first aired in 2003, the contestants’ objective was to construct a house while at the same time finding a romantic partner. After contestants have coupled up, they then compete for the house itself. Hosted by Ksenia Sobchak (Ксения Собчак) and Ksenia Borodina (Ксения Бородина), the show airs on TNT (ТНТ) every night. In its current incarnation, the show is mostly just a soap opera, although contestants do still (ostensibly) participate in construction projects in the various locations the series is shot in. The first season of Dom-2 (when it was known simply as Dom) aired on TNT from July 1 to November 1, 2003. The idea for the program came from Valeriy Komissarov (Валерий Комиссаров), although many have pointed out that the series bears a striking resemblance to a Japanese program. At the end of the first season, viewers decided on the ownership of the house built by the contestants. At this time, the show was hosted by television personalities Nikolay Baskov (Николаи Басков) and Svetlana Khorkina (Светлана Хоркина). The show saw a great deal of early success, and by 2009 had attracted many consistent viewers. In 2009 a Moscow court ruled that the show could not be aired during times when children would likely be viewing, in part for the open discussion of physical relations between unwed persons, and despite a protest by the show’s creators, it was decided that the show could only be aired after 10 p.m. In its second season, the role of Dom-2 presenters were taken over by Kseniya Sobchak and Kseniya Borodina. Although she was already a well-known celebrity at the time, the show propelled Sobchak to a postion of megacelebrity in Russia. She eventually left the show to pursue other business ventures and, increasingly, a role in liberal protest politics. She was even involved in a scandal with liberal leader Ilya Yashin (Илья Яшин), whom she was dating at the time. Borodina then became the lead presenter and was eventually joined by Olga Buzova (Ольга Бузова), who moved to the position from her role as show contestant. After Borodina married, she left the show to have a child, and Buzova became the lead presenter. Both Borodina and Buzova have had multiple endorsement deals in Russia based on the show’s popularity. From 2010 to 2015 Dom-2 was picked up as a franchise by Comedy Club Production LLC, a business affiliated with the TNT network the show airs on. However, the show’s original creator, Valeriy Komissarov, continued to produce the show. Since 2016, TNT Productions has taken over the show’s production, but Comedy Club still distributes it. In 2015 Comedy Club’s revenue totaled more than 4.75 billion rubles, a full half of which came from Dom-2. In recent years, the show has stretched itself to maintain a fresh look. Old contestants often return, and new locations are used in addition to the complex outside Moscow that serves as the main set. Contestants have even had kids together. Dom-2 has also featured celebrities from all over the world, including all of the post-Soviet states, most of the European Union, the United States, China, Korea, Brazil, Mexico, Cameroon, and Guinea, making it an international sensation. Dom-2’s official website, including clips from recent episodes.